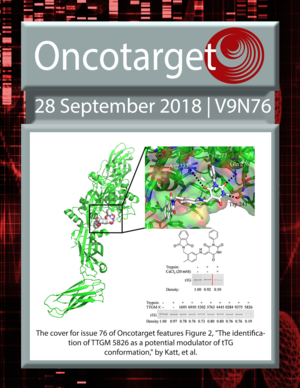 The cover for issue 76 of Oncotarget features Figure 2, "The identification of TTGM 5826 as a potential modulator of tTG conformation," by Katt, et al. CDK4/6 inhibitors in hormone receptor-positive, human epidermal growth factor receptor 2 (HER2)-negative metastatic breast cancer: Are we at the finish line? 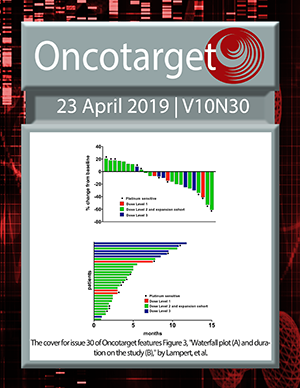 Metastasis-directed therapy: a new standard for oligorecurrent prostate cancer?